Jenna, 24, and Val, 32, are mourning the death of their beloved dog, Anastasia. Jenna opened up about the painful situation in a Thursday Instagram post, writing, "Our sweet angel Anastasia unexpectedly passed away last night. We are in complete and utter shock. I have truly never felt this type of sadness before." The So You Think You Can Dance All-Star and former contestant didn't reveal further details or the cause of Anastasia's death. It's also unclear how old Anastasia was or how long she had been in Jenna and Val's lives. According to social media, Anastasia began making an appearance earlier this year, around February. Anastasia then became the star of her own Instagram account in April. "To my sweet baby girl... thank you for officially making us a family. You made it the 3 of us. You had a very adventurous life!" Jenna continued in her heartfelt Instagram post. "You went on two different tours, you traveled the country, you went on set, you refused to sleep anywhere but my face, you had a big crush on Daddy, your sassy energy was contagious, and you brought immense joy into our lives. We treated you like our baby cause you definitely were." 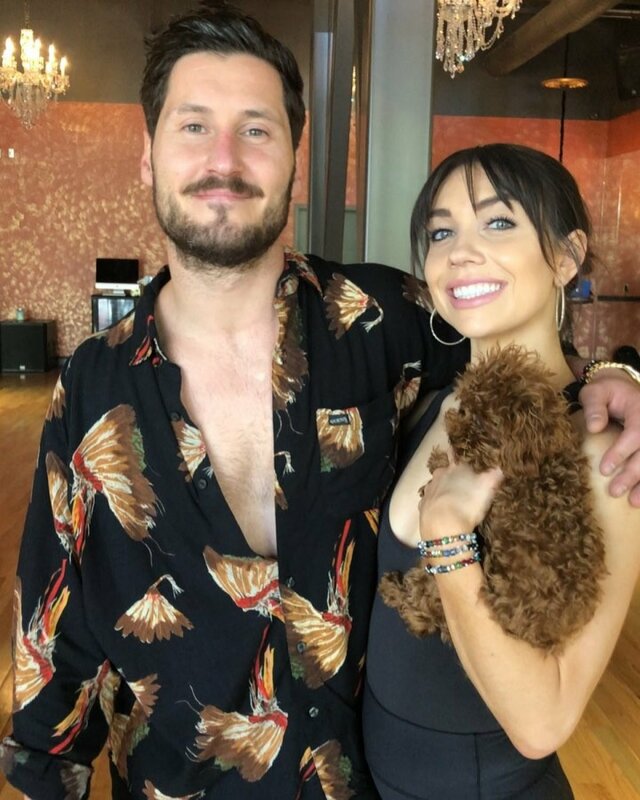 Jenna and Val got engaged in June 2018 after dating for about two years off and on. The idea of getting married without their little girl is apparently quite difficult for the couple. "I wish you could have been a flower girl at our wedding, but I know you'll be there in spirit," Jenna said. "Go bark at everyone and everything and run around in heaven my love. We love and miss you so much." Val is set to serve as a judge with Adam Rippon and Mandy Moore for Dancing with the Stars: Juniors, a new spinoff of the franchise that will premiere Sunday, October 7 at 8PM ET/PT on ABC. Meanwhile, the original Dancing with the Stars series will air its 27th season this fall, beginning on Monday, September 24 at 8PM ET/PT on ABC.